Russian aircraft maker Sukhoi is hoping that CityJet's use of the SuperJet aircraft in the Irish airline's wet-lease contract with Lufthansa-owned Brussels Airlines will boost the profile of the new jet among western European airlines. Earlier this month CityJet took delivery of its sixth SuperJet. The Irish carrier placed an initial order for 15 of the SuperJets, with an option to acquire a further 16, in what would be a $1bn-plus outlay. CityJet took delivery of its first SuperJet last year. It now has three of the aircraft in use at Brussels Airlines. CityJet operates the jets in Brussels Airlines livery under a so-called wet-lease contract with the carrier inked earlier this year, where CityJet provides the aircraft and crew. CityJet, which is headed by executive chairman Pat Byrne, was the first European customer for the SuperJet-100. The Dublin-based airline is also in the process of securing necessary permits for using the aircraft at London City Airport, but it will be 2018 at the earliest before they'll be used on routes from the facility. Mr Bryne told the Irish Independent in May that CityJet has also secured a deal to extend contracts it has to operate routes on behalf of Air France until next year. Talks have been ongoing to extend that deal. 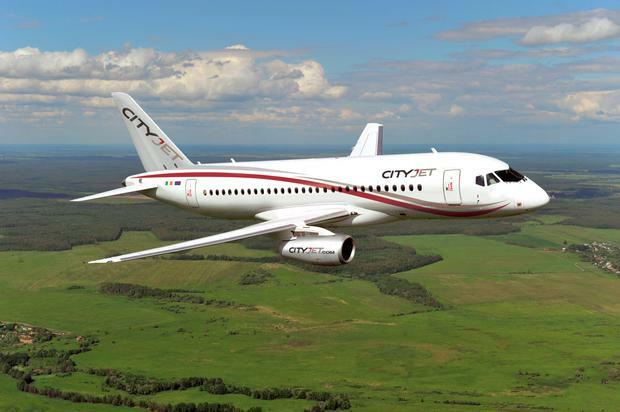 Vladislav Masalov, the chief executive of Sukhoi Civil Aircraft, told industry publication 'Flight Global' this week that CityJet's use of the SuperJet is expected to stir interest among other carriers. "We expect that operations in Brussels will attract interest from other European airlines," he said, adding that by the end of the year Sukhoi will have delivered eight SuperJets to CityJet. Mr Masalov added that negotiations are also about to restart with Air France about the airline using SuperJets wet leased from CityJet. Sukhoi needs a production rate of about 40 SuperJet-100s a year. It has delivered a total of 11 this year, but only has 30 orders for the jets beyond 2017. CityJet's revenue from scheduled activities - flying regular routes under its own brand - was €141m last year. Revenue from its wet-leasing activities was €69.2m. This year, scheduled revenue is expected to decline to €85.2m but CityJet's wet-lease revenue will jump to €194.5m, according to Mr Byrne. CityJet has been generating increased wet-lease revenue from deals with carriers such as Scandinavia's SAS.